TCCL is a cement company of Tanzania. The company was founded in 1980 in association with the government of Denmark. The Company manufactures, distributes, and sells cement and clinker. 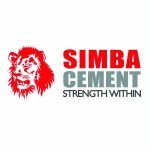 Its most famous product is Simba cement which has been produced since 1980. The company was listed on 2002 where by the general public acquired 32.5% of 63,671,045 shares listed.